Singer one of the leading home appliances manufacturer bring Singer Aerostar (solo), as the name suggests, this is a Solo packing model. Motor and fan blades are packed in single unit. It is a high speed 3 blade ceiling fan. Built with high speed powerful motor which generate 390 RPM, the operation is very silent. 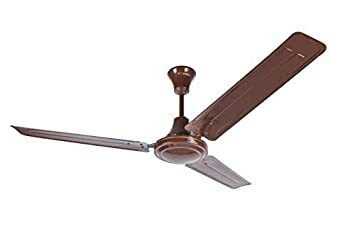 This high speed ceiling fan of Singer is elegantly designed in brown and blends perfectly with all kinds of interior.